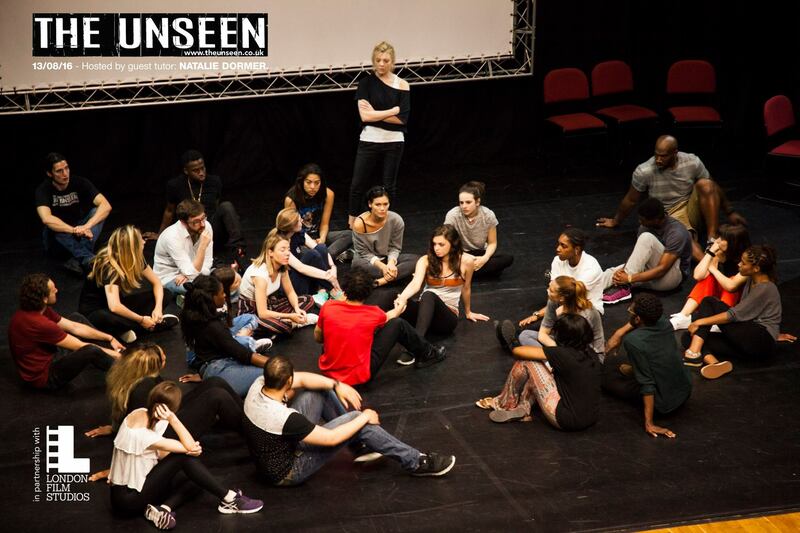 The Unseen is a new kind of drama school that is dedicated to providing the highest level of training, developing acting tools with a very individual approach and creating real opportunities for talent to access the industry. With our focus on nurturing fresh voices and encouraging diverse talent, we are supported by some of the biggest film and television industry institutions in the UK. At The Unseen our mission is to bring out the most natural, truthful and intriguing performances from our students. Focusing on helping our actors to develop their 'unique thumbprint'. Our acting classes combine various exercises from the most established acting techniques with fully directed sessions, self tape filming and high end masterclasses to create fully immersive experiences. We then dedicate our time to free one on one sessions via messaging platforms with all our students designed to develop pieces and bring out the best in everyone. It is our long term goal to help our students secure powerful representation partners and add momentum to their career paths. We now hold monthly showcases with Soho House and in Rich Mix which running alongside our online platform present our students developed pieces to casting directors, agents, producers and directors. In July 2016 The Unseen opened it's talent management arm through which we co-represent actors with major talent agencies in the UK, our ethos being to find the right partner for the right actor, ensuring opportunities, commitment and shared vision. In January 2018 we opened our internal agency to offer even more opportunity to emerging talent. Arjun Rose specialises in the use of archetypes and colours to help actors find their unique acting thumbprints and to make truthful, impulse driven decisions in their characters. Graduating top of his class with honours from University of the Arts London, Arjun went on to begin his Ph.D. studies in the study of ‘flow’ a psychological state that leads to optimal performance and decision making. After being headhunted by city trading firms for his expertise in the field, he spent the next few years as a financial trader before retiring, buying a new laptop and flying over to America to follow his dreams as a screenwriter and storyteller. In 2011 Arjun was named a Screen International Star of Tomorrow for his writing and directing alongside the likes of John Boyega and after signing with Independent Talent (agency) and Anonymous Content (management) spent the next few years working with some of the biggest production companies and Studios in the world including Lionsgate US and Working Title. After a conversation with Idris Elba's agent Roger Charteris about diversity and the need for a new type of training, he decided to work on his next vision, a school for people from all kinds of backgrounds who didn’t necessarily have the ability to pay for the top five drama schools and in 2016 The Unseen was born.